Moving to the South London area recently, I now have Brixton on my doorstep and it has become a go to for evenings out and weekend excursions! 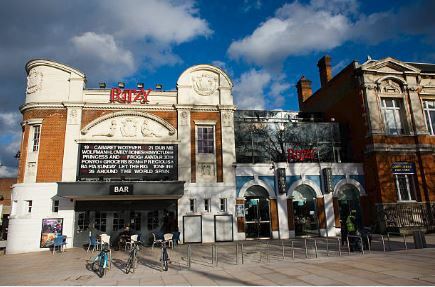 If you fancy a relaxing afternoon or evening at the cinema a trip to The Ritzy is a must have. A restored cinema from 1911 showing a well curated mixture of current, classic and independent films you can definitely find something to watch at The Ritzy. 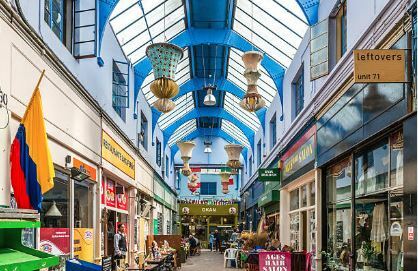 For foodies Brixton Village is an essential trip, with a range of restaurants from Tapas, Brazilian, Italian, Latin and many more there is something that will appeal to even the fussiest of taste buds! My personal favourite has got to be Seven at Brixton for its fun atmosphere, cocktails and extremely moreish tapas. If happy hour is your thing (it’s for sure mine! ), you can’t go wrong with Market House on Coldharbour Lane. With an array of cocktails, beers and wine available in their happy hour it’s the perfect place to while away a weekend afternoon while catching up with a friend without breaking the bank. For long summer days visit the Prince of Wales outdoor terrace to make the most of the sunshine, then dance the night away once the sun has gone down!